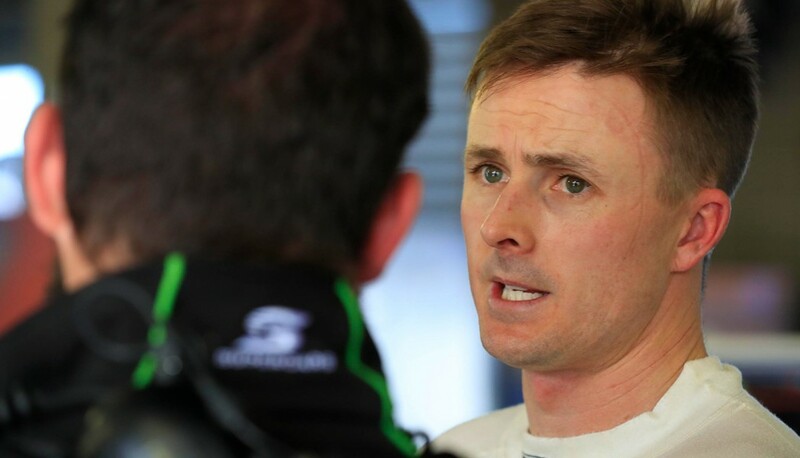 Mark Winterbottom secured third on the Bathurst grid despite being among a host of drivers forced into a precautionary switch of brake pad manufacturer for the Great Race. Prodrive this morning switched all four of its cars from Performance Friction (PFC01) to Project Mu pads after reports of cracked discs on five cars using the former in practice. The issues occurred following the roll-out of a revised AP Racing disc two rounds ago, which was beefed-up in reaction to an explosion on Winterbottom’s car at Bathurst last year. Triple Eight has been among others affected, with two of its drivers – Jamie Whincup and Craig Lowndes – usually running PFC01s but also switching to the Mu as a precaution. 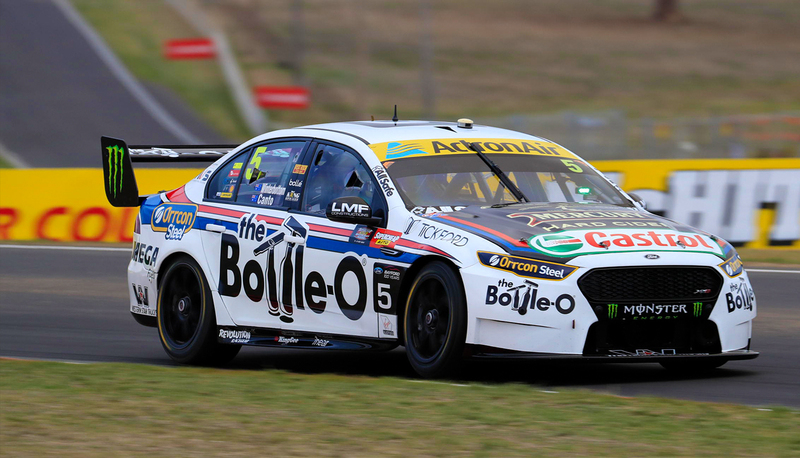 The change has not been made compulsory, with others – including Nissan Motorsport’s Michael Caruso Altima – electing to stick with the PFC01s after finding no issues in practice. Shell V-Power Racing is understood to have switched to the Mus for Sandown, meaning its drivers were used to the different pads by the time they got to Bathurst. With Prodrive only making the call to change this morning, its four drivers had just one session to get used to the different feel prior to the Shootout. Winterbottom and Chaz Mostert stuck with the Mus for the one-lap run and ended up third and fourth respectively, while Cameron Waters switched back to the PFC and clocked sixth. “It’s massively different and I think if we’d stayed on the other package we would have been a bit quicker,” Winterbottom told Supercars.com. “It requires you to set the car up a little bit different as well, you can’t just swap parts and it be identical, so it’s definitely a bit different to drive. “But I’ve experienced what a brake rotor blowout feels like so I’m taking no chances. I chose to leave it in for the Shootout because I didn’t want to go back and forth. 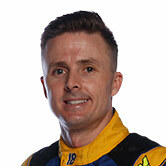 “I’m happy with the lap I did. When you throw something like that in on a Saturday morning, it throws you out a bit. “I’ve not even tested on them since 2013, so it’s been a long time. It doesn’t suit how I drive the car. 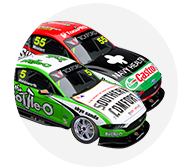 While Prodrive gave its drivers a choice for the Shootout, team boss Tim Edwards told Supercars.com that it was a team decision to change all cars for the race. “It’s far from ideal but we decided that we had to take a conservative approach, particularly because we were bitten here last year by the rotor failure and we can’t afford it to happen again,” he said. “If people are having failures in a one-hour practice session, at least we got six hours out of it last year before it failed. It’s a real concern. “There’s no guarantee that it’s the fix, just because nobody with the Mu has had a problem. On the facts available to us, that’s what we’ve got to deal with.